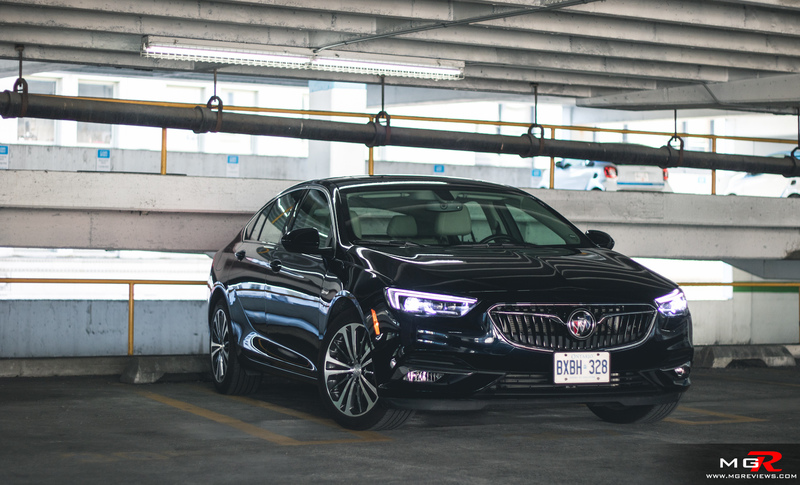 Sedans are quickly losing market share to the SUV which is why Buick decided to do something different for the 6th generation of the Regal. It may still look like a sedan but it is now in fact a hatchback. 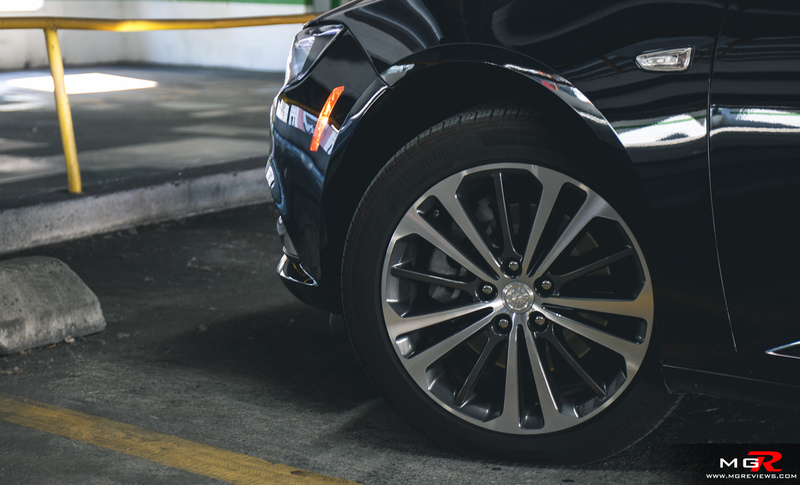 This allows for more trunk space while standing out from the usual pack of mid-size sedans. 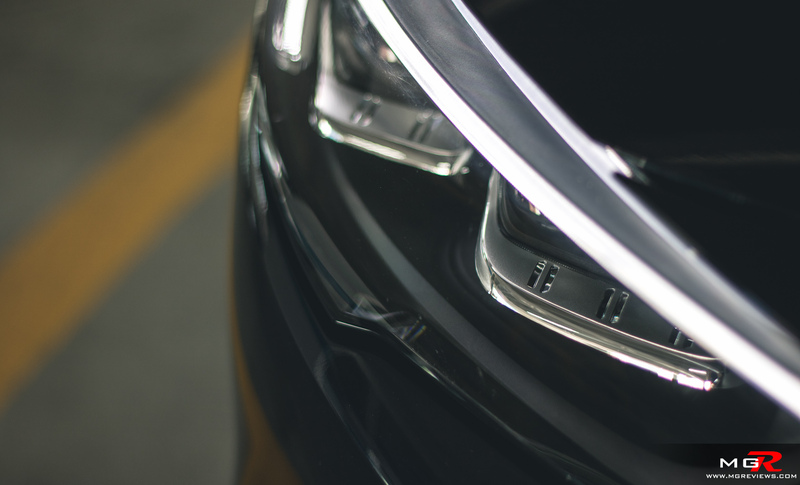 Engine – Powering the Regal Sportback is a 2.0L turbocharged engine with 250hp on tap. 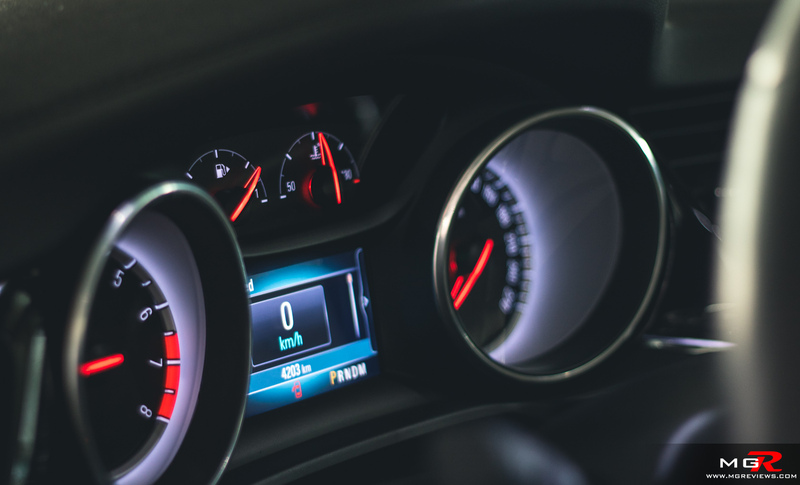 However depending on whether you opt for the front-wheel-drive or all-wheel-drive version, you get different torque figures. The FWD is rated at 260 lb-ft whereas this demo version with AWD is rated at 295 lb-ft of torque. For the most part the engine feels just like every other 2.0L turbo engine in this segment. A good surge in power from low rpms with just a hint of turbo lag. In terms of fuel efficiency though it is rated for a combined cycle of 9.8 L/100km but in my week of testing with mostly city driving, I managed 12.0 L/100km as my best average. It’s still not too bad for a car of this size and with AWD. 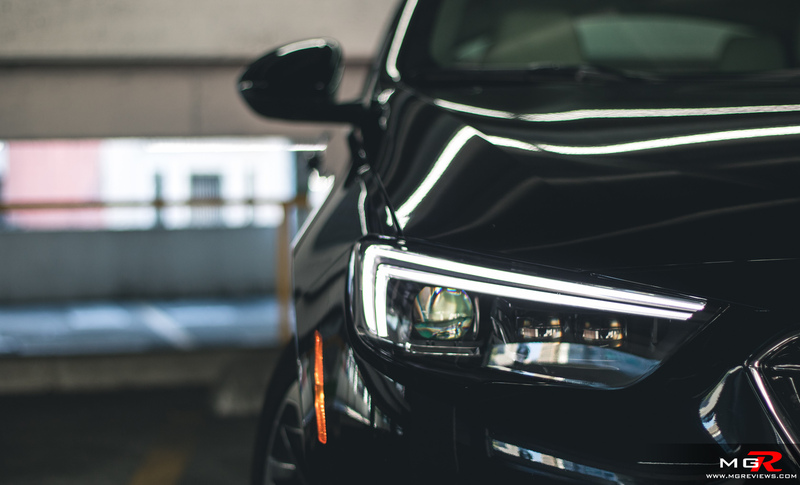 Transmission – Just like the engine’s torque figure depending on what drivetrain configuration you opt for, the 2.0L is available with 2 transmission options. The FWD gets a 9-speed automatic and this AWD version gets an 8-speed automatic. It is a very smooth transmission with nearly seamless upshifts. But downshifts feel a bit more delayed than the upshifts. They’re not jerky but just slow to react to the driver’s input if using the manual mode. 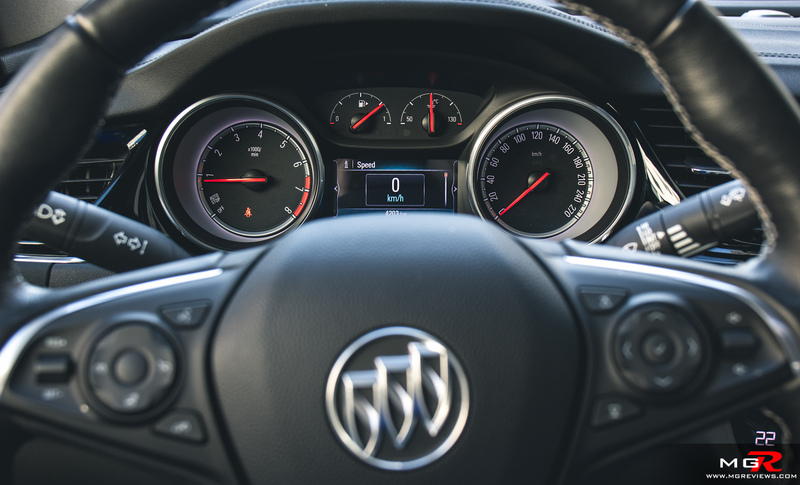 Braking – Bringing the Buick to a stop is no problem for the brakes. The 2.0L version does not get the big 4-piston Brembo brakes of the GS version but these brakes are enough for daily use. They don’t feel grabby when first applying pressure to the brake pedal and are easy to modulate. 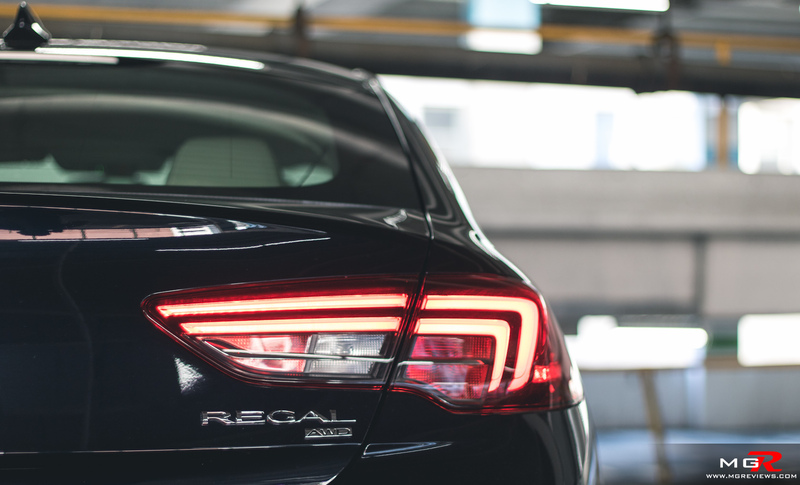 Handling – While the Regal has the word “sport” in Sportback, it doesn’t feel like a sports sedan. That’s a good thing because that would entail hard suspension and noisy tires at highway speeds. Instead the Regal has soft suspension that is meant to absorb bumps. 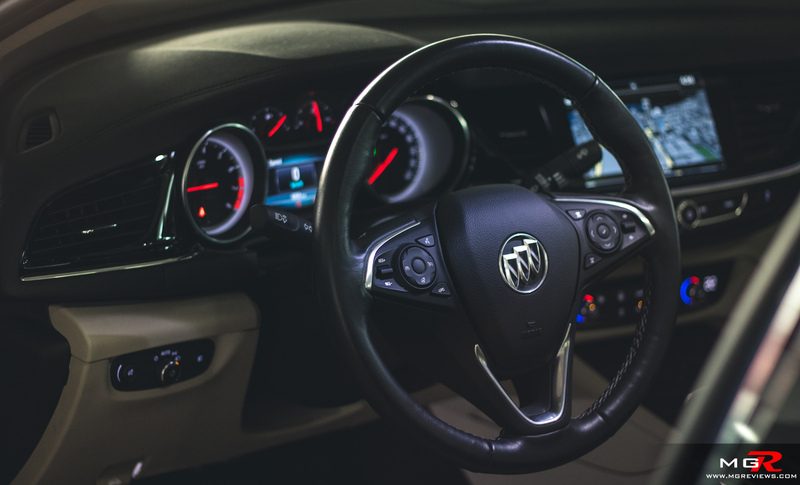 It doesn’t drive like a boat as older Buicks did and it can go around a corner at a relatively quick pace. But it was never meant to keep up with sports cars around twisty mountain roads. 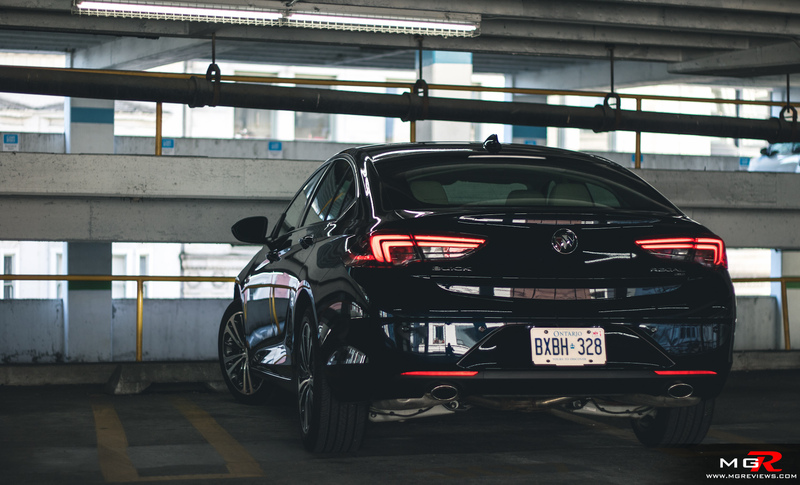 Ride Comfort – The Buick Regal Sportback has supple suspension that absorbs road imperfections. You can feel the larger bumps and potholes but it’s not bad and you don’t have to play “Minesweeper” by driving erratically trying to avoid the bumps because the suspension will cope with them. 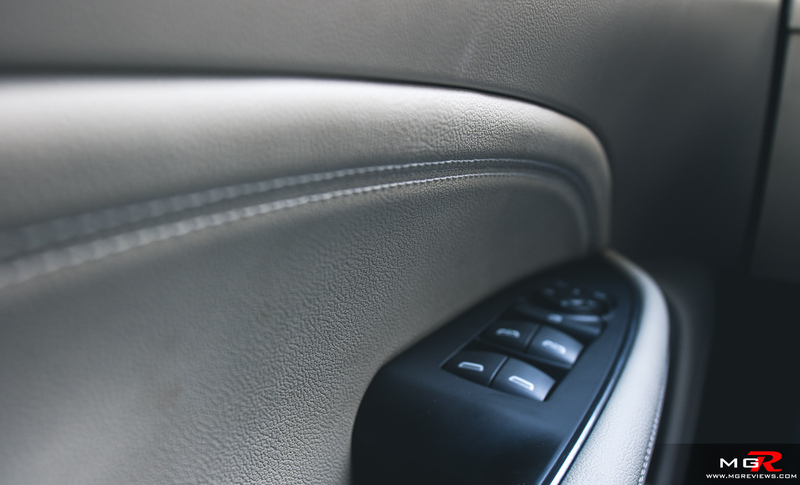 Front occupants have a lot of space and the seats provide excellent support for long periods. 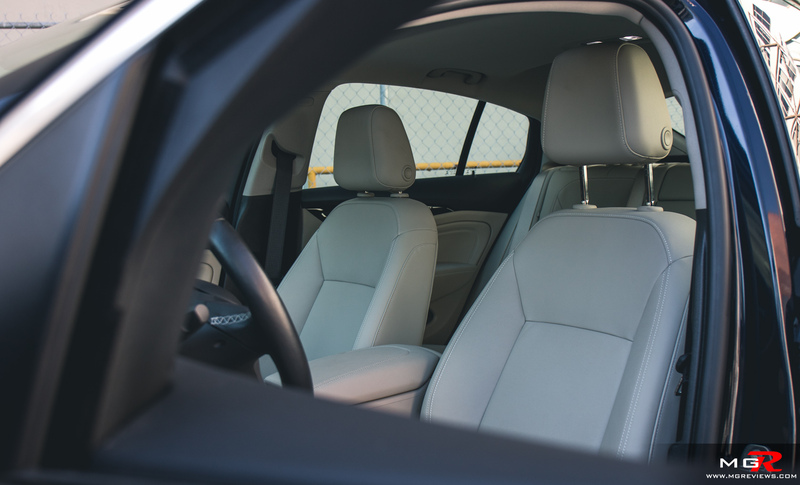 Rear occupants have ample amount of leg and headroom with fairly comfortable seats. The trunk can accommodate up to 891L of stuff with the rear seats up and the hatch design makes it very easy to load and unload. 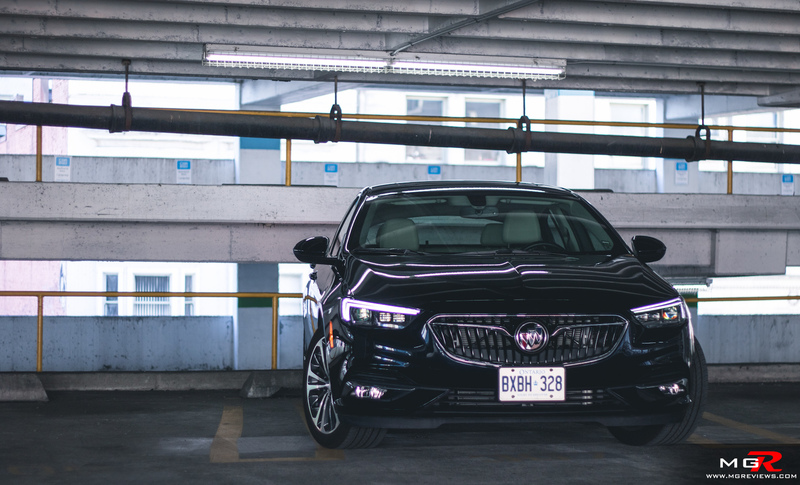 Noise, Vibration, & Harshness – Noise from the engine or from outside sources is not an issue with the 2018 Buick Regal. 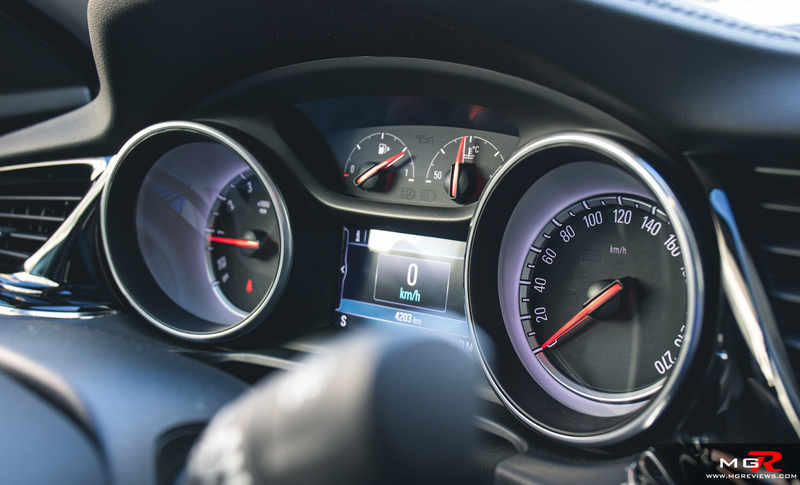 Engine noise only ever intrudes into the cabin when the rpm needle surges past 3,500 rpms. On highways the cabin is well insulated from wind and tire noise. The car is also well put together as there were no squeaks or rattles during my test drive of the Regal Sportback. In all a very quiet and comfortable sedan. Interior Design – The interior design is well laid out and easy to get accommodated to. 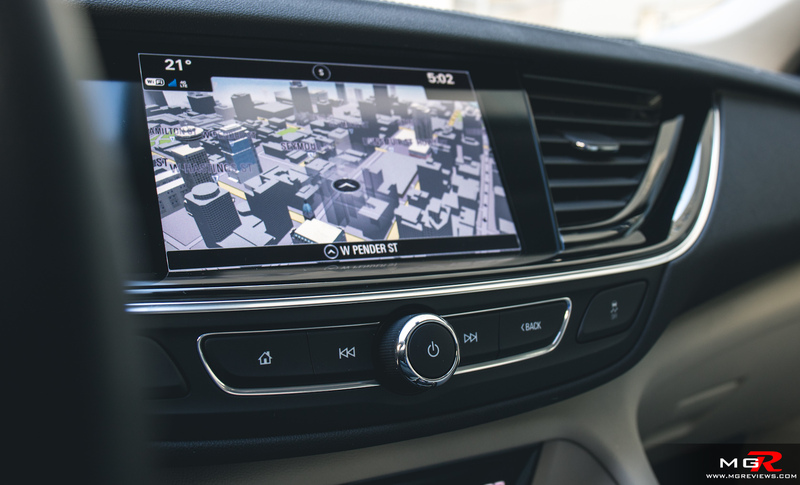 Majority of the features are controlled through the center touchscreen but there also physical buttons for quick access features such as radio and climate. There are a few blank buttons in front of the gear selector but it’s not too much of a big deal. The steering wheel however does have a lot of buttons. I’m not the biggest fan of placing buttons on any available real estate on a steering wheel but from a convenience point of view, it’s nice to have some controls within reach of one thumb move. 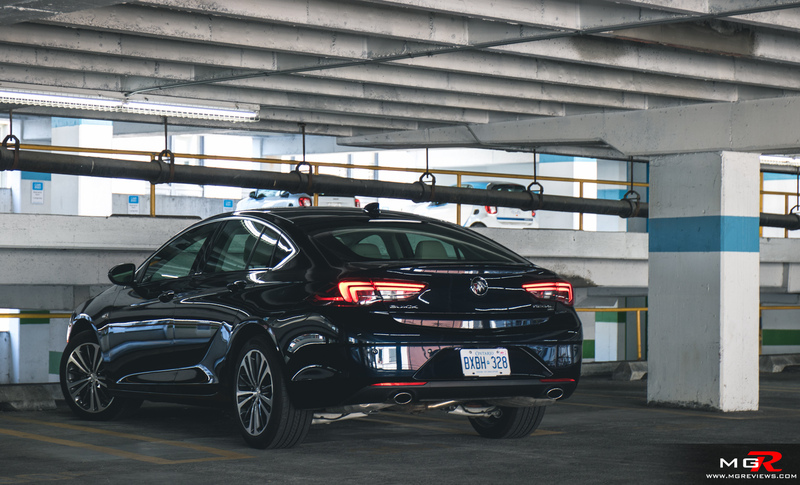 Gadgets – The Regal Sportback can be equipped with just about every safety and convenience feature that is available in the entire GM lineup. 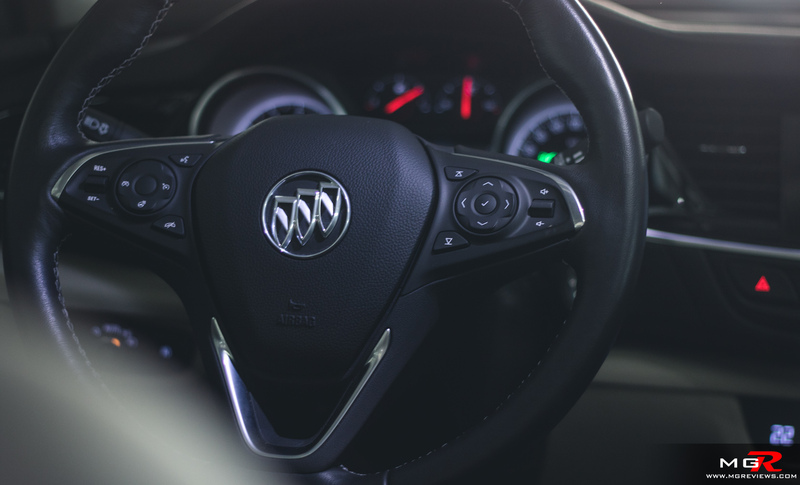 The great thing about the Buick regal is that a lot of the more common and sought after features are standard on this AWD Essence trim. 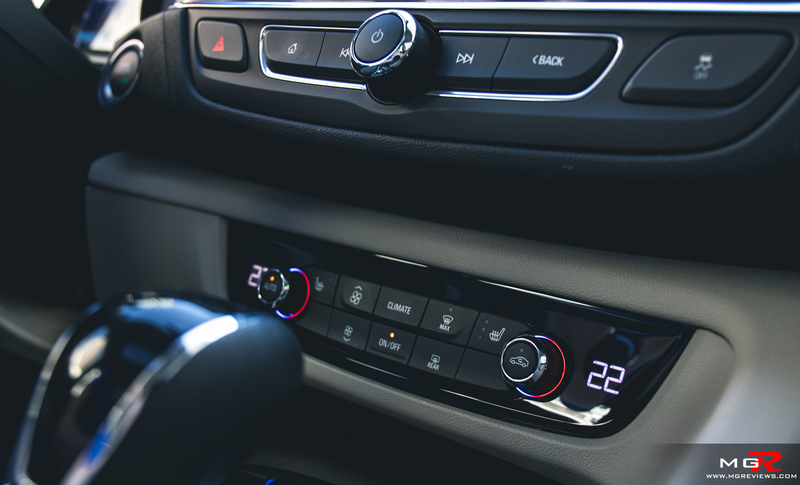 Heated seats, heated steering wheel, BOSE premium audio, remote start, Apple CarPlay and Android Auto among others. 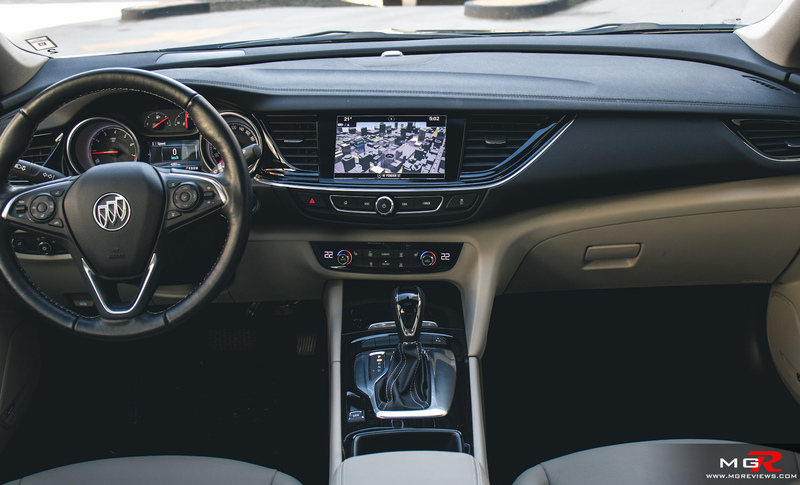 The Buick Intellilink infotainment system doesn’t take very long to get use to. The different features and settings are well laid out and the system itself is quite responsive. One note to mention is the wireless charging slot for smartphones. The height of the phone is not a problem but the width is for some newer phones. 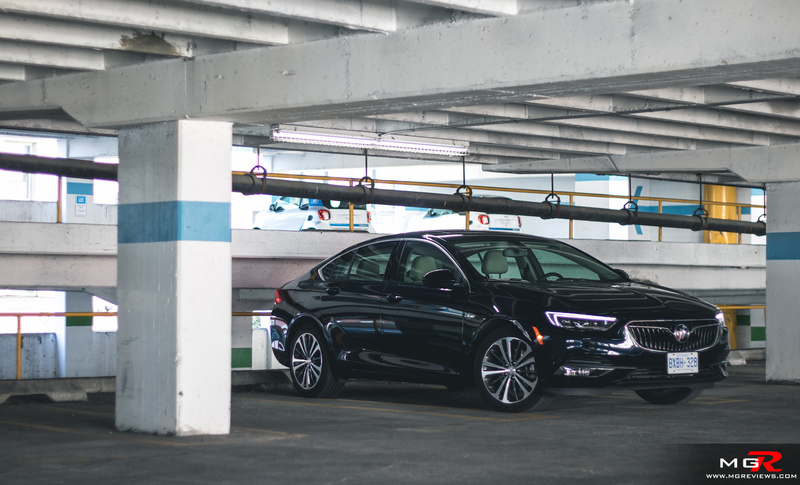 Exterior Design – The 2018 Buick Regal Sportback retains the traditional sedan shape except now the entire trunk and rear window lift as per the hatchback design. 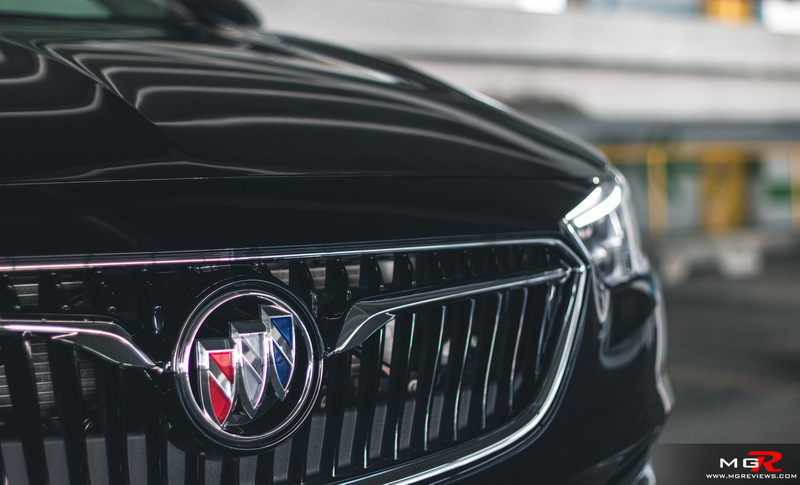 The front of the redesigned Buick no longer has the traditional waterfall grille and instead a “wing” design that extends from the badge. 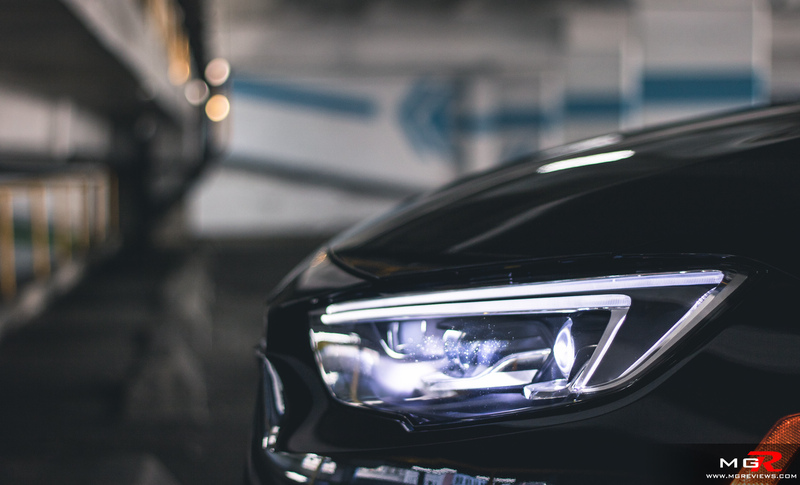 It is accented by the LED daytime running lights and optional LED headlights as equipped on this demo vehicle. 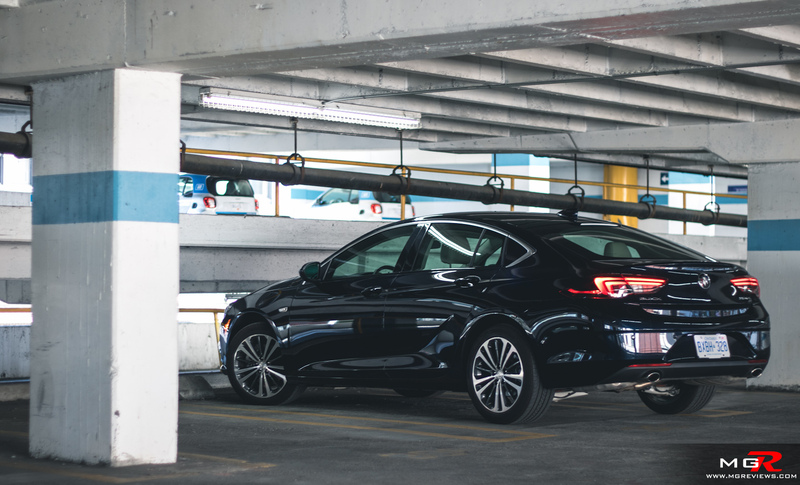 In all the 2018 Buick Regal Sportback is a very comfortable car with more space than a traditional sedan thanks to the rear hatch. 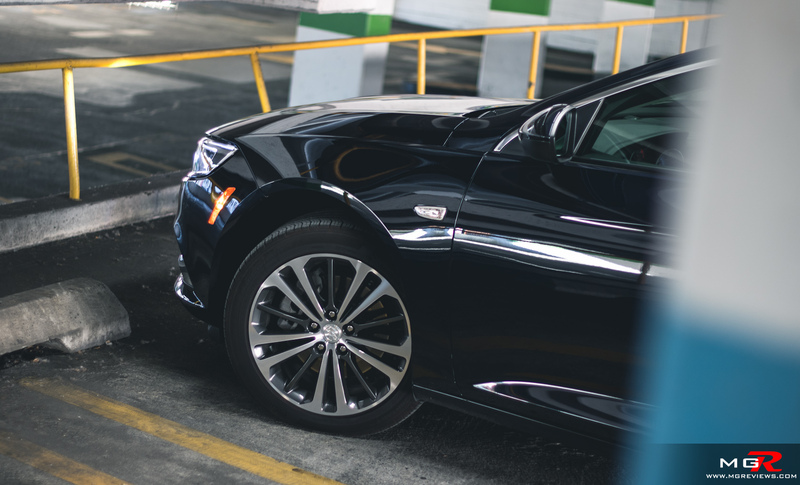 It may not be the sportiest sedan on the market but Buick thought of that and why they created the GS version of the Regal.